It is cramped, draughty and unlikely to win any design awards. 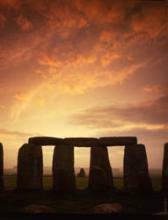 But, according to archaeologists, this wooden hut is one of the most important buildings ever created in Britain. 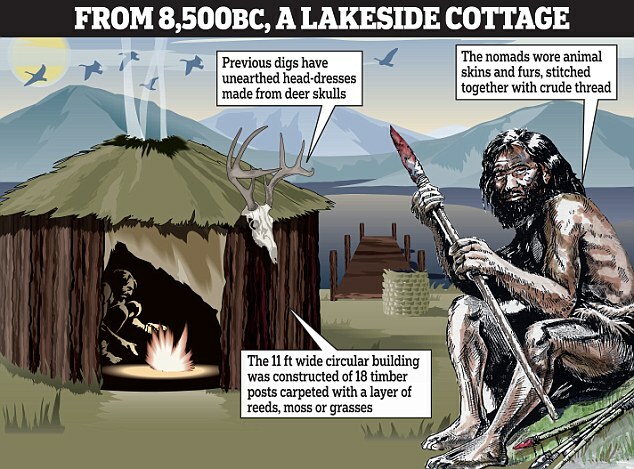 The newly discovered circular structure – as shown in our artist’s impression – is the country’s oldest known home. 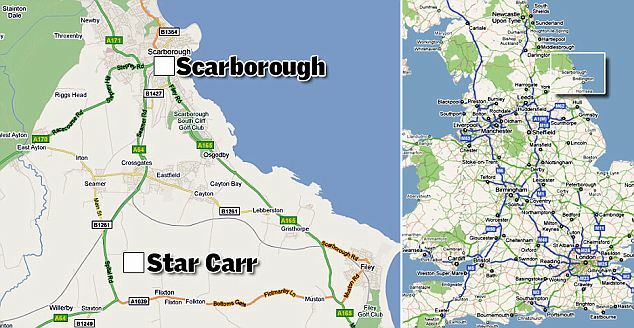 The remains of the 11ft-wide building, discovered near Scarborough, North Yorkshire, have been dated to at least 8,500BC. It stood next to an ancient lake and close to the remains of a wooden quayside. 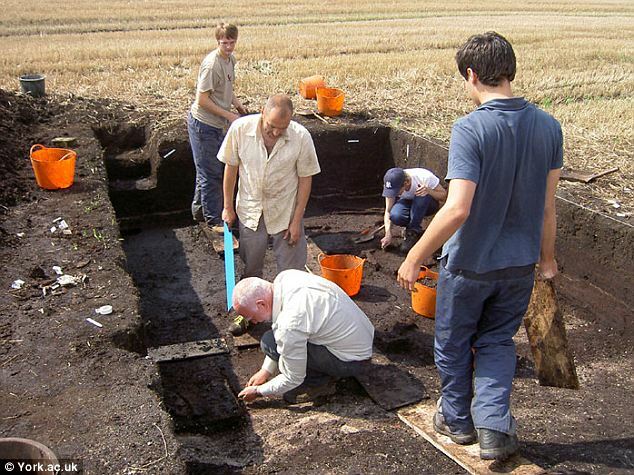 Dr Chantal Conneller, from the University of Manchester, said it was between 500 and 1,000 years older than the previous record holder, a building found at Howick, Northumberland. ‘This changes our ideas of the lives of the first settlers to move back into Britain after the end of the last ice age,’ she said. ‘We used to think they moved around a lot and left little evidence. None of the wood used to make the building has survived. 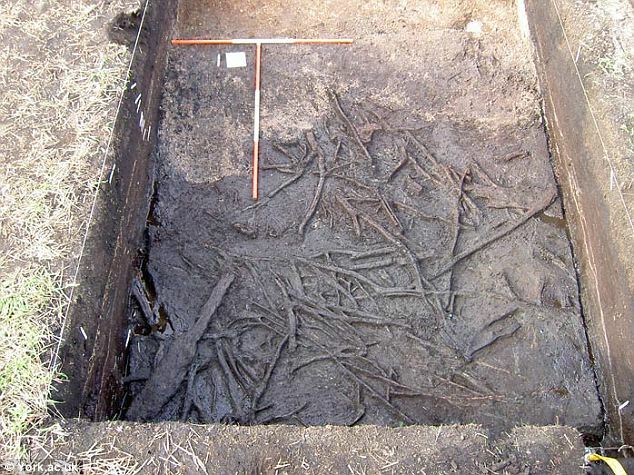 Instead, archaeologists found the tell-tale signs of 18 timber posts, arranged in a circle. The centre of the structure had been hollowed out and filled with organic material. The researchers believe the floor was once carpeted with a layer of reeds, moss or grasses and that there may have been a fireplace. Dr Conneller said the hut was used for at least 200 to 500 years – and may have been abandoned for long stretches. Previous archaeological digs have unearthed head-dresses made from deer skulls close to the hut, along with remains of flints, the paddle of a boat, antler tools, fish hooks and beads. The researchers also found a large wooden platform alongside the ancient – and long vanished – lake at Star Carr. It was made from timbers which were split and hewn. The platform, which may have been a quay, is the earliest evidence of carpentry in Europe. At the time, Britain was connected to the rest of Europe. 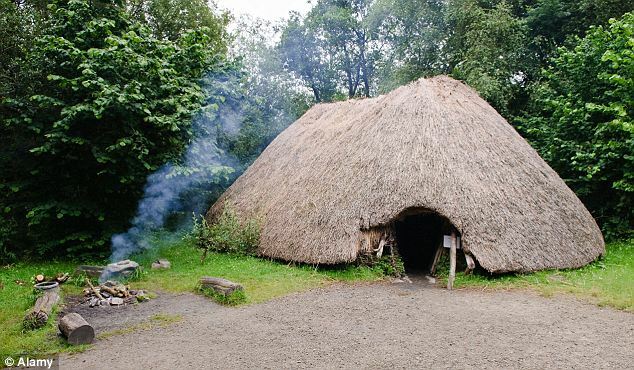 The occupiers of the hut were nomads who migrated from an area now under the North Sea to hunt deer, wild boar, elk and wild cattle. Dr Nicky Milner, from the University of York, said: ‘This is a sensational discovery and tells us so much about the people who lived at this time. ‘From this excavation, we gain a vivid picture of how these people lived. For example, it looks like the house may have been rebuilt at various stages. Although Britain had been visited by hunter-gatherers for hundreds of thousands of years, it was only at the end of the last ice age, when the glaciers finally retreated from Scotland, that the country became permanently occupied. Thousands of miles away, in the ‘Fertile Crescent’ of Mesopotamia, the earliest farmers were learning how to sow seeds and domesticate animals in a discovery that would transform the world – and herald the age of villages, writing and civilisation. But in northern Europe, the hunter-gatherer way of life that had served prehistoric man for millennia remained unchallenged.